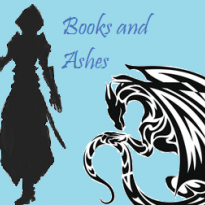 What I liked: I loved watching Mina and Evaline grow some more in this book. Mina is as by-the-book and fact-based as she was in the first book, but we see the doubts in her still show up after events in book one. Evaline is growing more confidant (though perhaps a bit too confidante) in herself despite things that have happened in her past, but has her own doubts about what's happening as well. I'm in love with the dual perspective position this series has, because we can see what each character is up to while also keeping some mystery as to what is happening when the two characters aren't together as well. The details in this book are wonderful, I can even imagine all the dresses the people are wearing and they sound just lovely! I was really surprised to see how all the different parts of the story eventually came together to reveal the entire plot behind the story, and how surprised I was by the ending of the book! It managed to make me make sure I had read it right. This series has more promise than I had imagine when I finished The Clockwork Scarab! What I didn't like: Pix's Cockney accent is a little much at times, but he does explain that he overdoes it. I'm guessing he would rather people underestimate him because of the way he sounds compared to the bit where he spoke with a less heavy accent. While at times I find the way they swoon at guys and propriety being a big deal a bit much, this is supposed to be an alternate Victorian England where this was quite common. Reputation is a big deal for a woman in Victorian England so she can get married to a man in good standing if she's lucky. However, as this is Victorian England, I'm surprised since both girls are of good stature in London they aren't both having a Season, a time where a girl becomes of marriageable age and is set to as many balls and events as possible for her to find the right suitor. Overall Review: This is a wonderful second book in the series, and I'm eager to see what mystery Evaline and Mina have to take care of next. We learn quite a bit about the different characters in this one that we did not know before, and there are moments of suspicion that are another mystery to both girls all together. While I didn't understand some parts of the story playing out as it did until the end, I really enjoyed the journey to understand what exactly connected everything together. I'm still curious as to how the first mystery ties into this series considering Mina's ever present suspicions. Recommend? : Certainly! 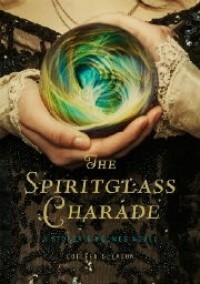 If you've read and enjoyed The Clockwork Scarab I hope you enjoy The Spiritglass Charade as well!